-- Two Twin Cities men convicted of terrorism-related charges were sentenced Monday in U.S. District Court. In separate hearings, Kamal Hassan and Mahamud Omar both made last pleas for leniency before Judge Michael Davis issued sentences to each man. Hassan choked back tears as he apologized to his family, his community and his country for leaving the U.S. in 2007 and traveling to Somalia to train with terrorist group al-Shabab. In 2009, Hassan pleaded guilty to two charges of providing material support to a terrorist group and later pleaded guilty to lying to the FBI. The convictions are part of what federal officials call Operation Rhino, a sweeping investigation of al-Shabab recruitment in the United States. 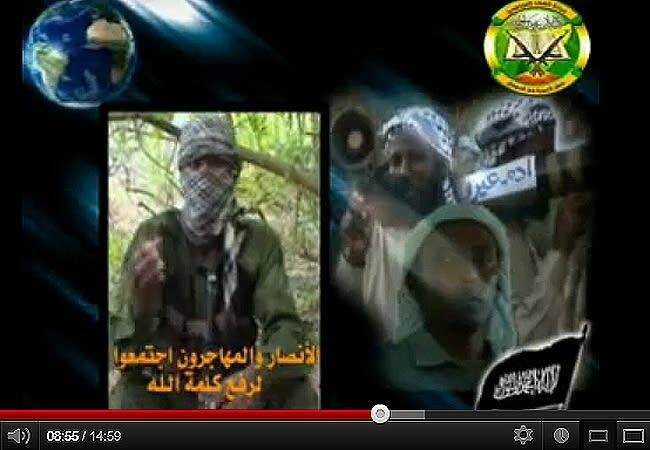 Since 2007, about two dozen young Twin Cities men are believed to have left for Somalia to join the group as fighters. Federal prosecutors say they found no evidence that the al-Shabab recruits were planning any attacks in the U.S.
"I knew what I did was wrong and illegal and I take full responsibility for what I did in 2007 and 2008," Hassan said. He became particularly emotional when he talked about how his absence affected his family. The oldest of eight siblings and a graduate of Wayzata High School, Hassan had worked and helped support his family. However, Hassan said his family began to struggle after he left and eventually lost their restaurant and their home. His family fell apart. "My parents got separated, which is very painful," Hassan said. "I blame myself. I know that if I never left, they'd still be together." The judge was not moved. "I heard a lot of 'sorrys'," Davis said. "You deceived your family, which knows you the best. And that takes something. And you deceived the FBI." "You bought time off your 456-month sentence," Davis said. The second man, Omar was convicted of five terror counts last year and faced a life sentence for conspiracy to kill, kidnap, maim and injure. Through his interpreter Omar gave a rambling screed in the courtroom in which he accused his lawyers of disrespecting him and again denied that he had helped terrorists. Omar, according to accounts from his lawyers and Davis, has experienced mental health problems. At one point in the proceedings, Omar reached under his chair and began to pull the Velcro straps off his shoes for no apparent reason. When asked if wanted to address the court before his sentence, Omar opened a manila envelope full of several pages of handwritten notes. Through his interpreter, Omar spoke at times incoherently about his case, but also defended himself. "I never planned for bloodshed for anyone of my brothers or any American people," Omar said. Omar also told the court that his lawyers told him that he could not write a letter to him with concerns about his case. He told Davis repeatedly that his team of three attorneys disrespected him. Davis patiently asked Omar, "Now is the time to ask me. What did you want to write to me?" Omar repeated the grievances he expressed earlier. Government prosecutors wanted to send Omar to prison for 50 years. Assistant U.S. Attorney John Docherty told Davis that Omar was a danger to the community. Docherty also said Omar, who worked as a janitor at a local mosque, was an integral part of the conspiracy to funnel money and fighters to al-Shabab. Omar was sentenced to 20 years in prison and a lifetime of probation following his release. His attorneys say with credit for time served, Omar will likely be out of prison in 13 years. Omar was no criminal mastermind, defense attorney Jon Hopeman said. "We've long thought he's of limited mental capacity and of limited ability to communicate -- none in English -- and of limited ability to communicate in Somali from what we can tell," Hopeman said. Members of Hassan and Omar's families sat in the courtroom to observe the proceedings. Many wiped away tears as the sentences were handed down. Also observing the courtroom proceedings was Hassan Mohamud, a St. Paul imam who served as a spokesman for the families and the Somali community. Somalis are concerned about how the sentences look to members of the broader community, he said. "Whatever outcome -- these cases starting from today and the next couple days -- whatever outcome they see, that doesn't reflect, number one, on the faith of the Muslim community or the faith of the Somali community," Mohamud said. Seven more people will be sentenced in U.S. District court this week, including two Rochester women who were convicted of funneling money to al-Shabab.